Propaganda - The Chip's Challenge Wiki - The Chip's Challenge Database that anyone can edit! 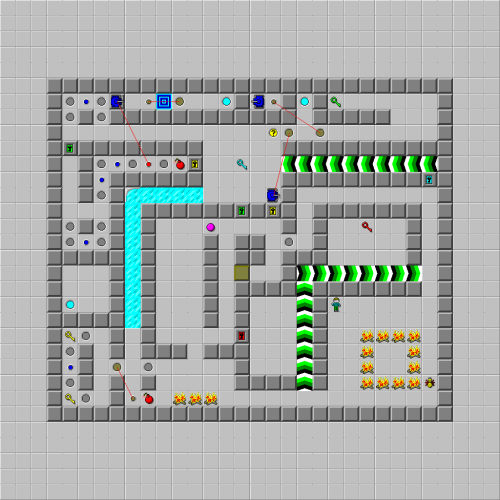 The above button connects to the trap on the right, and the button under the tank connects to the one on the left. 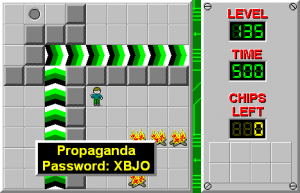 Propaganda is the 135th level in Chip's Challenge Level Pack 4. It was created by Tyler Sontag. The level was once titled Neon, but the designer has admitted that both Neon and Propaganda as titles have no connection to the level. This page was last edited on 29 March 2019, at 09:22.